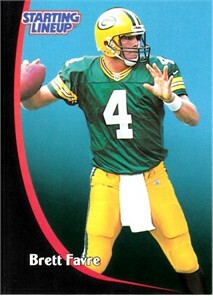 1998 Kenner Starting Lineup football card of Green Bay Packers Hall of Fame quarterback Brett Favre. NrMt-Mt or better. ONLY 2 AVAILABLE FOR SALE.